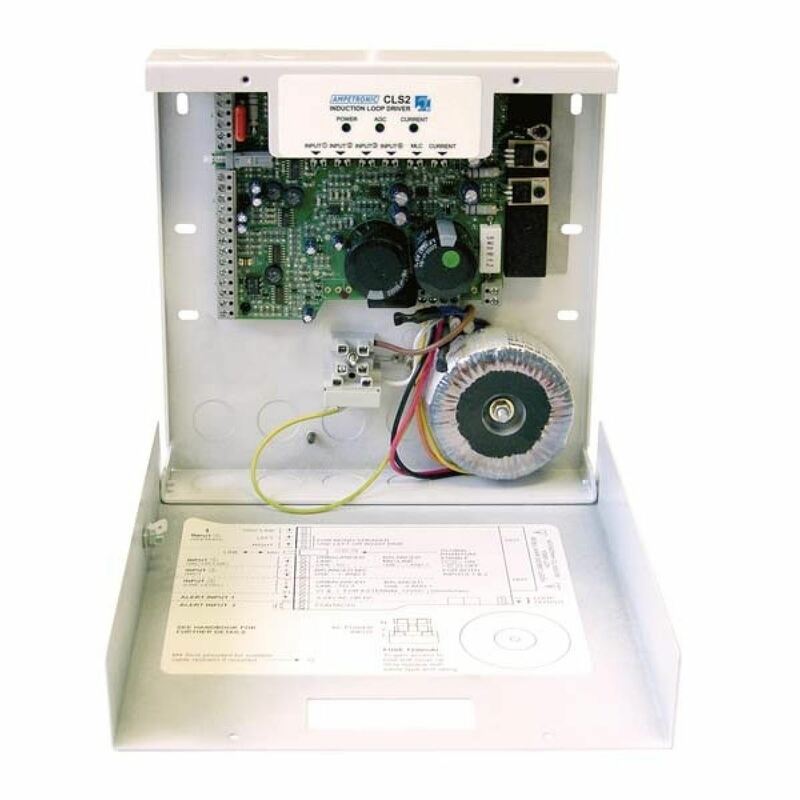 CLS2 Wall Mount Perimeter Induction Loop Driver, for areas up to 4,000 sq. ft. 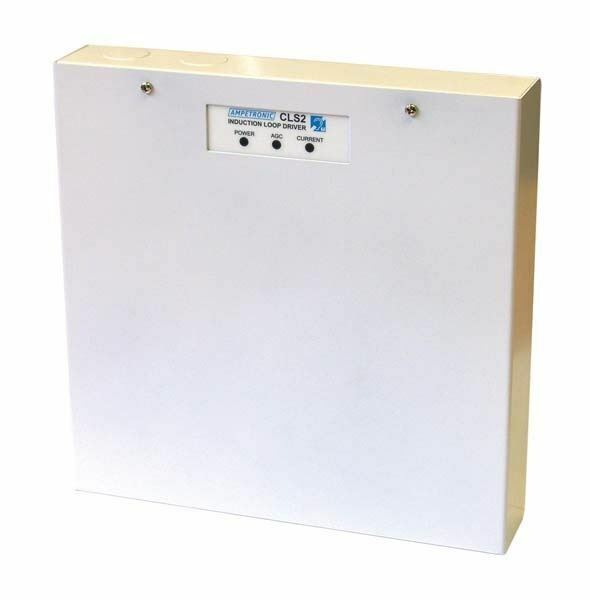 The amplifier is very compact and designed specifically for wall mounting. All connections and controls are secured behind a tamper resistant, hinged, detachable cover. Input options are extensive, with four independent inputs for balanced microphone, balanced and unbalanced line, low impedance and 100V - line speaker systems, plus priority alarm, doorbell or telephone connections. • Area coverage to >4,000 sq. ft.